Earlier this year I had the pleasure of contributing to a fabulous e-book called Zero To Two; the Book of Play, chock full of ideas for hands-on learning activities for babies and toddlers. 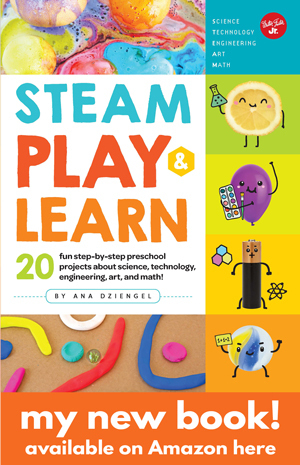 Today I’m excited to announce that we have a second book for your budding preschooler. 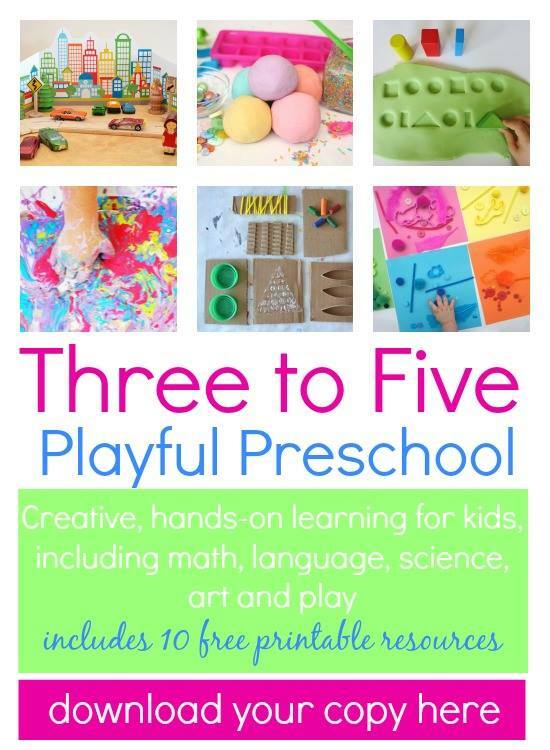 It’s called Three to Five: Playful Preschool and includes 25+ ideas for preschool age activities from 25 inspiring bloggers. It’s an E-Book. That means you can purchase it right now and download it in the next five minutes. Yep! How’s that for immediacy? 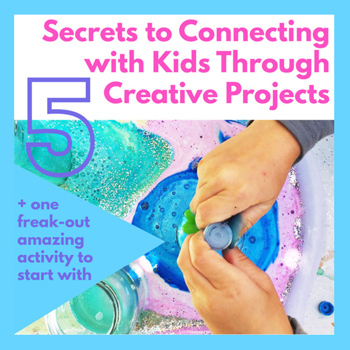 In addition to the 25 activities covered there are additional links to 50 more ideas from our crack team of kid bloggers. 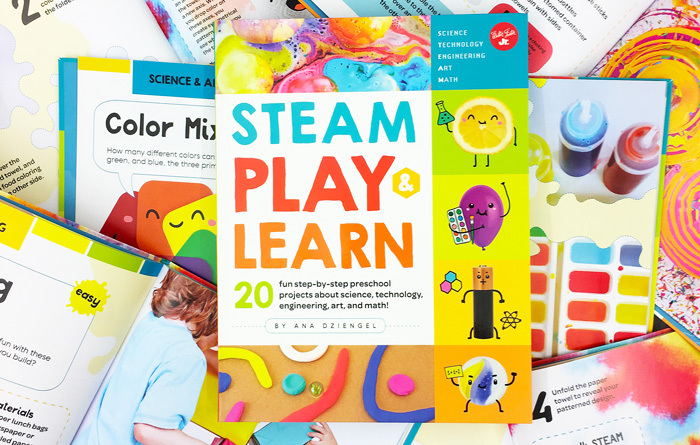 Topics we cover include math, language, literacy, science, art and play. 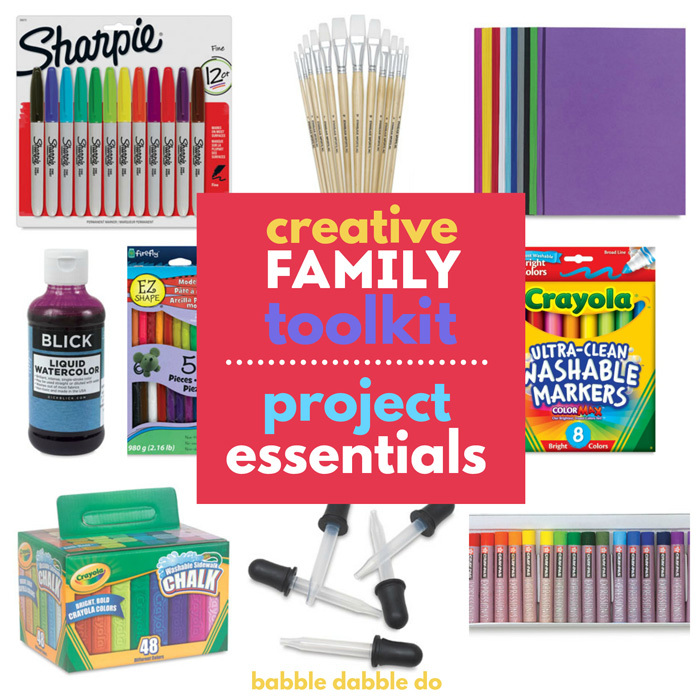 *Printables include city scape play scene, My First Journal pages, recipe card, numbers game, weather chart printables, alphabet play mats, unique hand-drawn art pages, conversation cards, block building challenge cards, bookmarks. 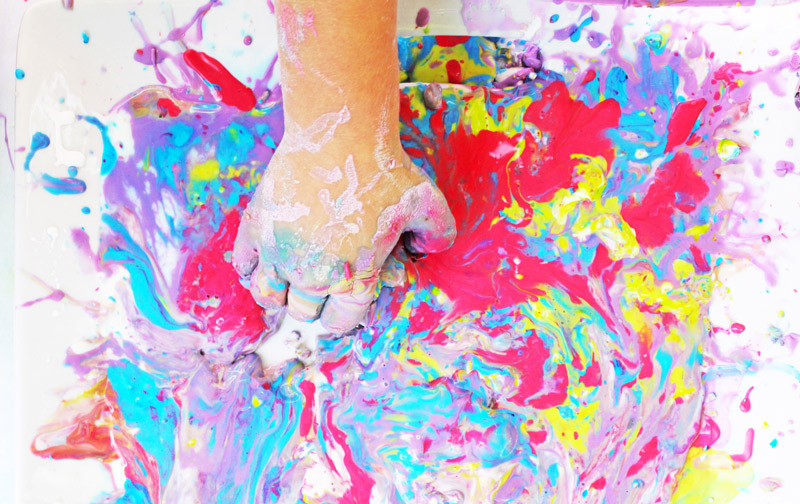 Being the science and color nut I am, our contribution is marbled oobleck….a classic project with a little twist. I hope you like it! Want it for yourself? Just follow the link below to purchase a copy from e-Junkie.